Meet our new partner, Estelle Rowe, a trailblazer within STEM and education who with passion, inspires children in an engaging way. Estelle, Director of Central Programmes at The Engineering Development Trust (EDT), MBE award winner for her passion for STEM and education and a major catalyst for EDT winning the WISE Diversity Award in 2012. Since becoming National Director of Headstart 6 years ago Estelle has increased the number of university summer school places from 1400 to 2100 and introduced courses in maths, physics and chemistry. The programme includes Insight – an all-female Headstart engineering residential university summer school for 16 – 17 year olds. The proportion of girls attending all Headstart courses has now reached 42%, a very high proportion considering that on some degrees the % is in single figures. Estelle’s work played a significant part in EDT winning the 2012 WISE (Women into Science and Engineering) Diversity Award. 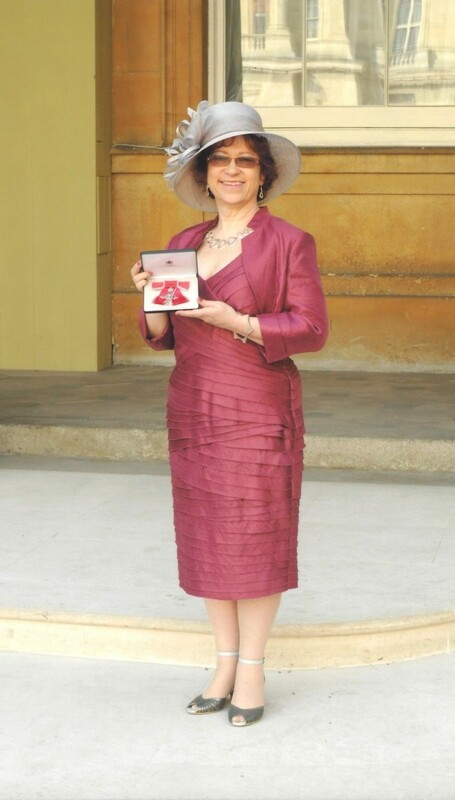 In 2014 Estelle received an MBE for Services to Education and was elected Fellow of the Women’s Engineering Society. Just recently she received a Presidential Invitation to become a Fellow of the Institute of Civil Engineers – a major honour for her work promoting engineering to young people, especially as she is not a civil engineer by training. Estelle, tell us about EDT? EDT is a charity that has been around for 30 years. I have been there for 16 years and we run a whole range of programmes and activities suitable for 11 year olds to 20 year olds. We deliver hands on activities right up to a paid placement year before students attend university. For example on the Headstart scheme we give students a taster of what it would be like to be a Science or Engineering student just before they fill out their UCAS forms for university. Even if they decide that they don’t want to Study the subject they had previously chosen, then at least they have had all the information and experience beforehand. At EDT we cover every area of STEM from computing to heavy engineering and right across the board there is a skills shortage. If we ignore half the population, we are never going to fill the skills gap. There are too many uninformed debates about nuclear power, GM food and MMR vaccines, and its fine if people don’t want these things to happen as long as they have a well-informed view. How many people say “oh I don’t do Maths or I was never really good at Maths in school”? I do not understand why as a society we find this acceptable. Youngsters nowadays have the latest gadgets but they don’t make the connection that this is something that they can also be involved in designing or making in the future. There seems to be no curiosity about how technology or engineering works and the fact that its people behind it all! What impact has EDT had? Nobody really knows what changes the mind of a young person, so this is why we facilitate these opportunities to young people. This year, we aim to inspire nearly 30,000 young people with a STEM experience. All our programmes include interaction with people with a business background so the youngsters can meet role models as it helps make their goals and dreams seem more realistic and achievable. 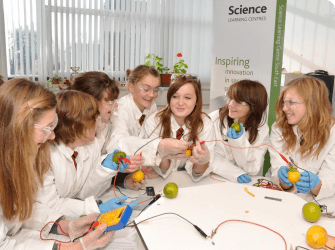 When working with young people it can be many years before they decide to go through university or their first job before we find out whether the EDT courses has created the long term impact of them actually working in Science or Engineering. We find that 2-3 years later our students do come back to us and say they enjoyed the course and it has helped them decide on their career paths, EDT has a great impact on people! What was it like receiving an MBE? I went to Buckingham palace to receive an MBE for Services to Education in 2014. It was a special day and lovely experience to have been awarded by Prince Charles, for my many years of working in engineering and education, linking the two together. EDT and WISE, another great organisation who encourages women and girls to value and pursue STEM related courses in school or college are doing a joint project for children in schools. What can you tell us about that? Interestingly, WISE did research on “Why girls don’t choose STEM subjects” but instead of writing another report, they have developed materials and called it “People Like Me”. People Like Me uses the natural tendency of girls to articulate their self-identity using adjectives, to show them that people just like them are happy and successful working in careers in STEM. It’s different and definitely worth trying to gain the interest of girls because quite frankly the numbers of women who work within this area, particularly in this country, are still very low. You hear more about science and engineering in the media and on TV which is good. I was at the Gadget Show Live recently and for the first time ever there was a Careers Day which included several discussions with groups on careers and STEM. We were trying to make the connection that there’s all these exciting gadgets and technology and the fact that you can work in this area! How do you think inclusive recruiters like Contracts IT can support the pipeline? We work with 500 companies like BP, BAE Systems, The Institute of Engineering and Technology who support us in various different ways. We would like to see much more involvement from the IT side in the work that we do, which is why it is great to have Contracts IT on board. Contracts IT are showcasing the work of EDT to assist organisations who are not managing their own STEM community and outreach programmes to actively engage and support education and a love for STEM. Our partner EDT is creating the talent pipeline, so we must do what we can to support the next generation of engineers and technologists. 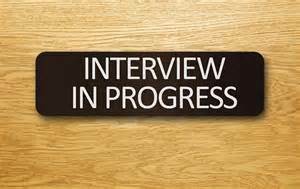 If you are interested in doing something about the current skills shortage or want to find out more about EDT then contact Naheed@contractsit.com to book a consultation with Estelle Rowe. Visit www.etrust.org.uk for more information.